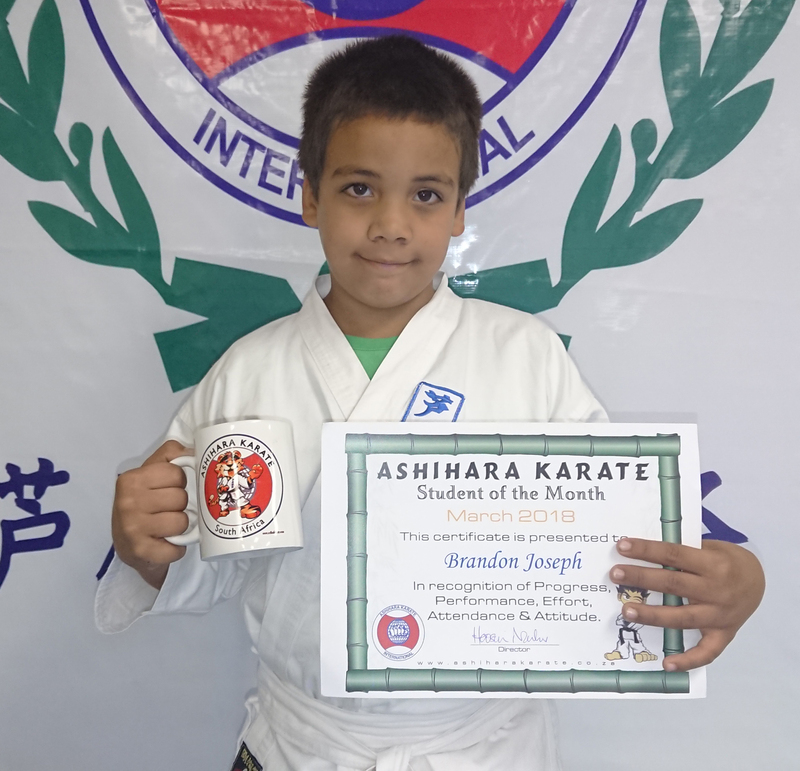 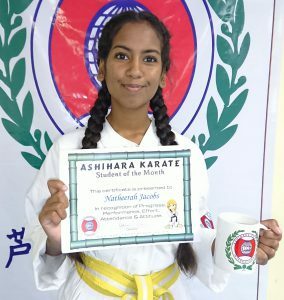 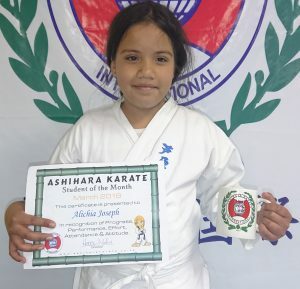 Every month, a student at Honbu gets selected as the “Student of the Month.” Some of the criteria that gets looked at is : Attendance, Attitude, Effort, Enthusiasm, Performance, Scholastic Results and so on. 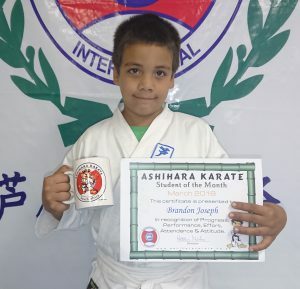 These students are then contenders for the Annual Awards. 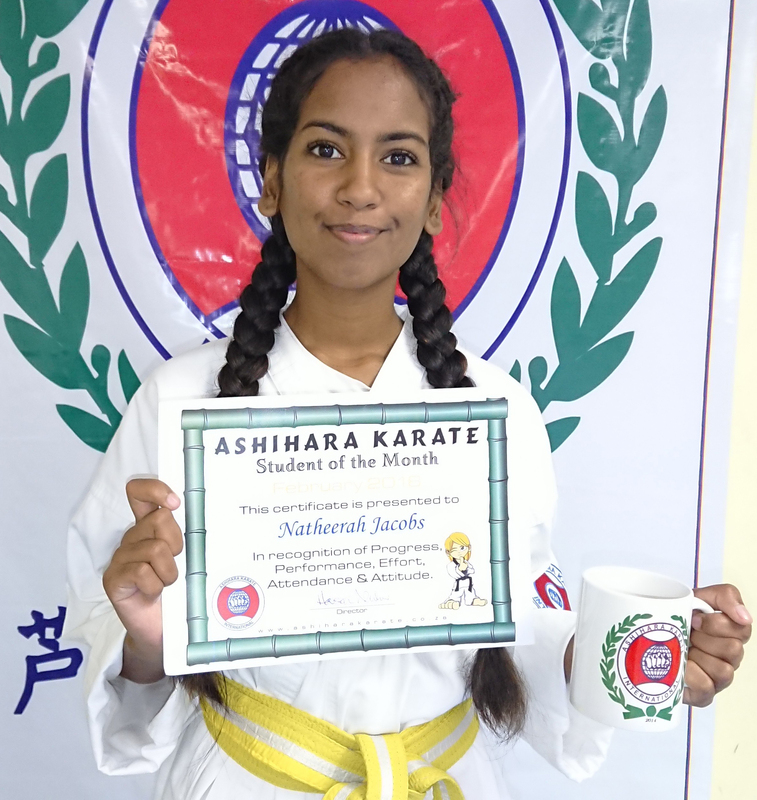 The monthly winner receives a certificate, printed mug (sponsored by Mr & Mrs Marshall & Tessa Idrees) and a floating trophy.